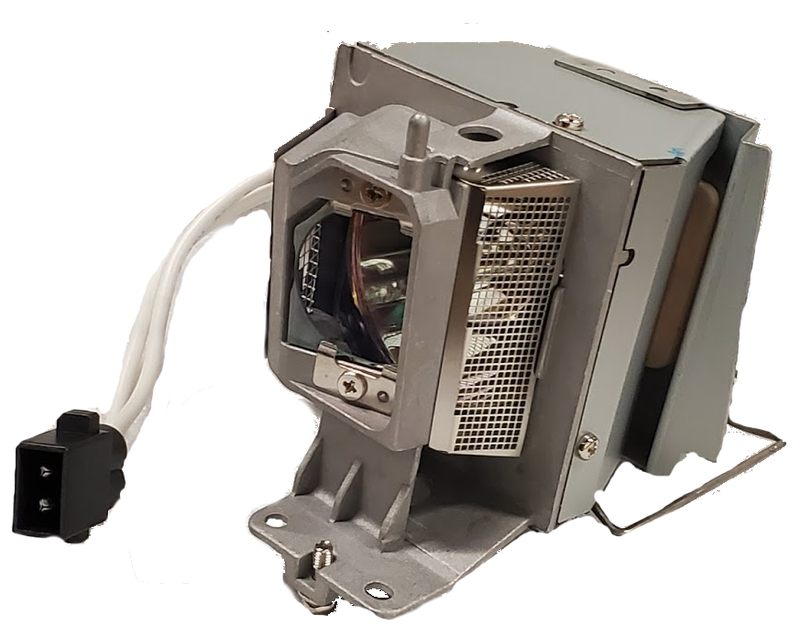 The 725-BBEH Dell projector lamp replacement comes with a genuine original Philips brand UHP bulb inside rated at 3,800 lumens (brightness equal to the original Dell lamp). The 725-BBEH lamp has a rated life of 3,000 hours (5,000 hours in Eco mode). This lamp replacement has higher lumen output and longer lamp life than other cheaper generic replacement lamps being sold elsewhere. Purchase with confidence from Pureland Supply with a 5-star Google rating, free ground shipping, and a 180 day warranty. 725-BBEH Dell Projector Lamp Replacement. Projector Lamp Assembly with High Quality Genuine Original Philips UHP Bulb Inside. We ordered 2 of these Dell lamps and they were promptly delivered in a box that was well packaged. The lamps have the original Philips bulb and look a lot like the original Dell lamp (maybe they are? ), but cost us less. Great company to deal with, highly recommend.